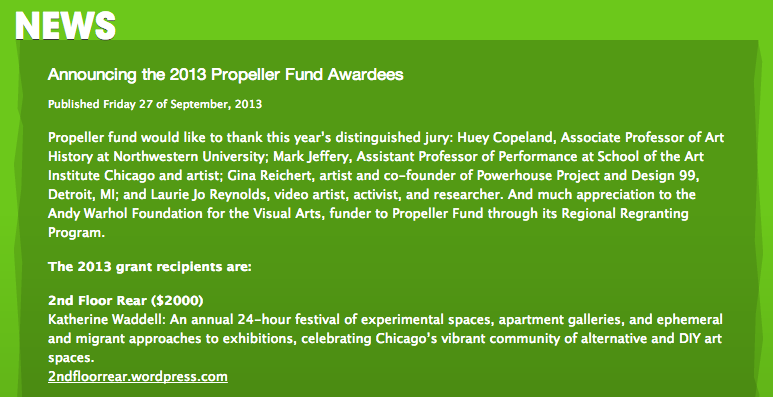 We’re proud to announce that 2nd Floor Rear is an awardee of the 2013 Propeller Fund! That’s right! The good folks at Threewalls and Gallery 400 (and their jury, of course) are handing us a big chunk o’ change to do the festival again this year. There are some big changes and major improvements on the horizon, but let’s take this moment to celebrate. A huge thanks is due to all past volunteers, collaborators, and participants: you guys do the bulk of the work. There would be no festival without your creative labor and immense talent! 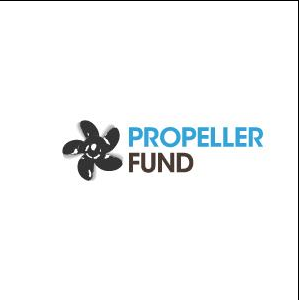 If you have a free evening, come celebrate with us at the 2013 Propeller Fund reception tonight, from 6 to 8, at Hull House. We’d be so happy to see you there.